We have arrived at the last of the Ten Commandments! This commandment is considered by looking at the Hebrew letter YOD, and the number Ten. There is much more than meets the eye when we consider YHVH’s command not to covet! It has much to do with the Holy Spirit and is the aim of the Path to Righteousness. Do you believe it? YOD is His Hand, the Hand of Power, or the Father’s Right Hand. Yod shows the strength and power of YHVH. So, to covet something is always an emotional thing. It is a wish, desire or an ‘inordinate’ desire for material goods or honor, especially those that belong to someone else. It happens in the spiritual realm, doesn’t it? Good grief! Most of the commandments are simple to ‘hear and do,’ but this one requires us to monitor our thoughts and emotions! WHAT DOES IT MEAN TO BE CULPABLE? I’m guilty now for what I think?! If we are commanded to control our very emotions and thoughts, how do we achieve that? Does this have anything to do with pride, ambition, or dreams? In one way it sounds like number ten is saying to stop thinking all about ‘me!’ -Or someone else’s stuff! But, in a weird way, the tenth commandment is all about You. Coveting is transgression against yourself! If you are content in your own skin and at peace with your circumstances, you won’t be coveting anything that belongs to others. It is a denial of your own worth as a child of God to be so discontent with your own life that you wish to ‘be’ someone else! You want to attach your identity to something that is not yours! That’s different than aspirations to improve your own life. It is a desire to steal something that rightly belongs to someone else! IS IT WRONG TO MAKE A WISH OR HAVE AMBITIONS? To earnestly desire something isn’t necessarily coveting, is it? Maybe it has more to do with WHAT we are concentrating so much attention on. Pro 3:5 Trust in the LORD with all your heart, and do not depend on your own understanding. 6 In all your ways acknowledge him, and he will make your paths straight. 7 Do not be wise in your own opinion. Fear the LORD and turn away from evil. If we place Him ahead of ourselves and our own desires, if we put Him first, He will make our paths straight! There’s that narrow path again! How do we accomplish that!? The scriptures above say He is the one that gives us the strength to overcome our thoughts. Sounds a lot like the guidance of the Holy Spirit, doesn’t it? But, there must be more to it than that! What’s so wrong with ‘thinking’ something? Jas 1:14 Instead, each person is tempted by his own desire, being lured and trapped by it. 15 When that desire becomes pregnant, it gives birth to sin; and when that sin grows up, it gives birth to death. There it is then. Desires tempt, lure and trap us in sin. Eventually, it grows up from an idea to an action that can cause us to sin. Php 4:8 Finally, brothers, whatever is true, whatever is honorable, whatever is fair, whatever is pure, whatever is acceptable, whatever is commendable, if there is anything of excellence and if there is anything praiseworthy—keep thinking about these things. Php 4:12 I know how to be humble, and I know how to prosper. In each and every situation I have learned the secret of being full and of going hungry, of having too much and of having too little. 13 I can do all things through him who strengthens me. He is saying where to put our priorities! He says focus on YHVH and improve your attitude regardless of your circumstances. Don’t waste time obsessing over what someone else has! The concepts are simple; the implementation not so! It is similar to the old adage, you are what you eat. He seems to be telling us: You do what you think. 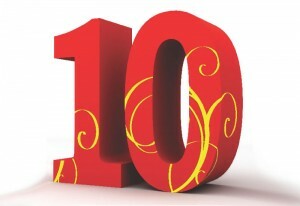 The number TEN symbolizes the law, government and restoration! Just as Yod is the Father’s Right Hand, we know that Yeshua is at the Father’s Right Hand. He will have the government upon His shoulder! He is the Way we are reconciled to the father! That’s the whole point of the Scriptures! Restoration of the people back to a healthy relationship with YHVH! Yeshua is how we achieve that restoration! He is complete in the Father and we are to be complete in Him. Right? 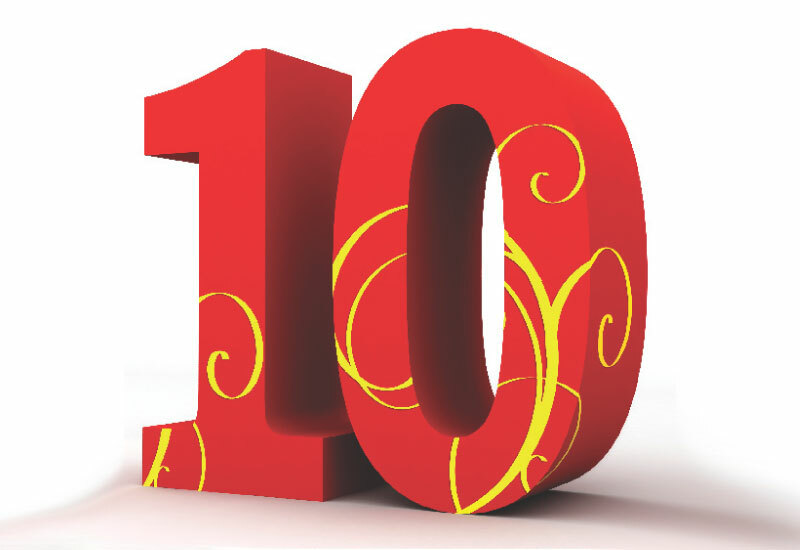 Does the number 10 mean this commandment holds a clue for how to be complete in Him? It seems like the final ‘proof’ that we are ‘saved’ is the in-dwelling Holy Spirit! Don’t we all want to be filled with the Holy Spirit? Before he ascended to heaven Yeshua told his disciples to ‘wait’ a few days. And then, on Shavuot (Pentecost) an outpouring of the Holy Spirit fell on them! He gave them his Hand of Power: Yod! And they immediately began to speak the Truth to all nations! Do you think it is a coincidence that the outpouring of the Holy Spirit occurred on the anniversary date that marked the speaking of the Ten Words on Mt. Sinai on another Shavuot? Evidence of the Holy Spirit was manifested in the disciples speaking the Word! The book of the Acts of the Apostles is filled with the manifestation of this Hand of Power from the Almighty! People were healed from all manner of maladies! Folks rose from the dead! Disciples were freed from prisons! Diseases were healed, demons were cast out! How were they able to do these miracles? The first century disciples had a direct link to Him and His Hand of power! The Disciples were performing miracles just as Yeshua did when he was with them! He even promised them they would do greater miracles than he did! What has happened to change that? Why are people who claim to be filled with the Holy Spirit not manifesting these miracles today? One of the clues is found when the Disciples wondered why Yeshua could cast out a particularly nasty demon and they could not. What was his answer? Isn’t it obvious? Yeshua made a practice of prayer and fasting! That is why he was able to cast out the spirit when his disciples could not! This flies in the face of church doctrines. Yeshua was our example for how to walk in Torah observance. Is prayer and fasting a thing of the past? But, He is God’s Son! So the question is: Was it being Torah-observant, prayer and fasting, His identity, or all of the above that enabled the miracles to be performed? Did the disciples fit all of these parameters? WHO REALLY PERFORMED THE MIRACLES? We see from the scriptures that both the disciples and Yeshua had permission to harness the power of YHVH, even unto raising people from death! It wasn’t limited to Yeshua! They all walked in that power! Joh_14:10 You believe, don’t you, that I am in the Father and the Father is in me? The words that I say to you I do not speak on my own. It is the Father who dwells in me and who carries out his work. Yeshua was very clear. He did nothing by himself. It was the Father working through Him. WHAT ELSE DO WE KNOW ABOUT YESHUA? We know that he was Torah observant! He kept the Torah perfectly! Is that another clue? 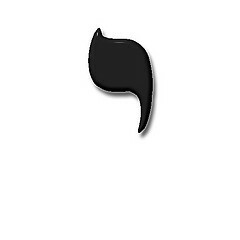 It seems apparent that He was One with the Father because he was One with the Torah! He was doing the will of his Father! How do we, who wish to be In Him as he was In the Father, achieve the same manifestations of His Presence today? Is prayer and fasting a requirement? Perhaps this question is best answered by seeking His will for you. BUT, YESHUA IS THE SON OF GOD! But, how does that explain the disciples’ miracles? Were the disciples sons of God? Can we become sons of God? Read the following verses from the New Testament! Is this saying that we can share the same power as our LORD Yeshua Messiah when we become ‘sons of God?’ The disciples certainly thought so! They walked in His power! Were they different than you and I? HOW DOES THIS COMPARE TO GRACE? If Ryle and Gothard are correct, then Grace is His power working through us, and that is what makes it possible for us to BE who He created us to be, and to DO what he has called us to do. Gothard says it is power to do His will. But, He promised that anything we ask in his name he would do! Joh_16:23 And in that day ye shall ask me no question. Verily, verily, I say unto you, if ye shall ask anything of the Father, he will give it you in my name. But, there is a catch! He isn’t going to do whatever we ask IF it is outside of His Will. Why would we expect Him to break his own Torah? Yeshua rebuked his disciples when they stepped outside of YHVH’s will. HOW ARE WE TO PLACE ALL OF THIS INTO AN UNDERSTANDABLE WHOLE? One definition of grace is His Power to Do His Will. We also understand that the Holy Spirit is what empowered Yeshua and the Disciples to Speak the Word and perform miracles! Sounds a lot like the description of YOD, doesn’t it? We are supposed to be the ‘body of Christ.’ Right? Doesn’t that imply that we are to be His hands and feet and voice here on Earth? Isn’t it time that we realize the spirit of YHVH is not just a gift to hold inside? It is our marching orders on how to Do His Will. We are to ACT upon his empowering spirit! Just like the disciples. DOES GRACE HAVE ANYTHING IN COMMON WITH THE HOLY SPIRIT? Contemplate how much ‘grace’ was bestowed on Noah! He was able to build an Ark big enough to house all living things and eight people for several months. He built this boat on dry land in a place that had never seen rain! I think the only way he could have accomplished this amazing demonstration of faith in YHVH was by the power of the Holy Spirit! Only by the powerful help of YHVH‘s Hand! And the reason it came to pass was because Noah was doing what the Father asked him to do. It was His will that the ark be built! After all, if YHVH could create the Earth once; he could easily have built the Ark for Noah! For that matter, he could have just started over! But, He had declared His creation to be ‘very good.’ It must have been designed in perfection. Right? He gave man another chance! He honored his promises! He chose to re-populate the Earth with a remnant! Restoration! Noah was righteous in his generation; Noah found grace! YHVH told Noah to build the Ark; Noah was obedient; obedience to build the Ark was a righteous act by Noah; Noah’s obedience was enabled by grace; and by grace Noah saved a remnant so the Earth could be restored! Do you see the circular reasoning here? YHVH is always giving us cycles of righteousness. Psalms 19:7 The Law of the LORD is perfect, restoring life. The testimony of the LORD is steadfast, making foolish people wise. HOW DO WE LIVE A RESTORED LIFE? The bottom line is that everyone who is living and breathing is here because of YHVH’s grace! But grace (Spirit) in tandem with his Torah (Truth) gives us a restored life! An empowered one! And the promise of eternity with Him! If we wish to see the power of the Holy Spirit, we have to be in His Will. AND WHAT IS HIS WILL FOR US? Isn’t that the purpose of the Torah? Within it are the keys to His Kingdom! When we are IN HIS WILL the result is blessing and peace. That is His will for All mankind. He gave Torah to us for our good and for the good of all creation. It isn’t a mechanical thing. It involves all of our being! Our intellect, our emotions and our very actions working together to do His will! Is that the Holy Spirit? Is that His Hand? DOES YOD REPRESENT THE HOLY SPIRIT? How do we understand Yeshua when He prayed to his Father? He told his disciples he did not do anything without His Father’s direction! He taught his disciples to pray to “Our Father in Heaven!” He never claimed to be YHVH! He said he was YHVH’s Son, the Messiah. That Yeshua has been given all power and authority and the name above all names I have no doubt. But it was given to Him by the Father. He didn’t take it for Himself. He obeyed the Father, even unto death on a cross, and because He did, He sits on the right hand of the Father. WHAT DOES IT MEAN TO BE ECHAD? Yeshua said ‘I and the Father are one (echad).’ Just like a man leaves his mother and becomes ‘one’ with his wife; it is a sacred covenant of unity. It describes fealty, loyalty, and a one-ness of purpose. That is how I see Yeshua and YHVH; unified in purpose, obedience, and mind. One. Can we achieve a perfect ten? Isn’t that a description of Yeshua? The love of YHVH was perfected in Him because he kept the Word! Perfectly! In the same way, if we abide in Yeshua, modeling our behaviors and being conformed into His image, we too can be one with the Father. Yeshua is our guide and facilitator to being grafted back into the true vine! Yeshua completed the requirements to re-establish our covenant with YHVH. He did His part. Now it is up to us to do our part! THE COMMANDMENTS AS A PATH! Do you see how the sequence of the Commandments leads us on a path? We start at one: learning who He is. Then we learn how to honor Him. Then he teaches us what we must do to be righteous among ourselves. Finally we arrive at the tenth commandment and we can see how this relates directly with possessing the Holy Spirit! It is a spiritual journey! From recognizing and accepting our Creator to inviting Him into our Heart! If we take these instructions step by step we walk in the divine empowerment to Do what it is He wants us to Do! Through the power of the Holy Spirit! A secular view would call this ‘self-actualization.’ But, we should see that as the imposter it is! We don’t look to ourselves to achieve a miracle! Our focus is above! And the reward of seeking first His kingdom is the gift of the Holy Spirit. The Holy Spirit is both within us and around us. It enables us to be comfortable in our own skin and content with our state! We are no longer torn by the desire to be someone else. The Holy Spirit enables us to become a son of God! And what better identity could we have? We understand who He is and who we are. We understand what we are to do and He gives us the power to do His Will. Only then can we be true disciples. For isn’t that the whole duty of man? Ecc_12:13 Let us hear the conclusion of the whole matter: Fear God, and keep his commandments: for this is the whole duty of man. Just as Noah obeyed God and by the power of His grace enabled the restoration of the Earth, we too are called to obey and set in motion the restoration of all things! That is what is happening now! The movement of the Spirit is evidenced by the numbers who are returning to Torah. People from every nation and tribe, all over the Earth! Act 3:19 Repent therefore, and turn again, that your sins may be blotted out, 20 that times of refreshing may come from the presence of the Lord, and that he may send the Christ appointed for you, [Yeshua], 21 whom heaven must receive until the time for restoring all the things about which God spoke by the mouth of his holy prophets long ago. This is not a New Testament phenomenon! It is the same message we have received from the holy prophets of long ago! There is an exclamation point in the final book of the Older Testament! Mal 3:6 For I am the LORD, I change not; therefore ye sons of Jacob are not consumed. 7 Even from the days of your fathers ye are gone away from mine ordinances, and have not kept them. Return unto me, and I will return unto you, saith the LORD of hosts. HE PROMISES TO RETURN TO US! The Ten Commandments are the summary of YHVH’s covenant agreement with us. When we follow them, we proclaim His Holy Name! We are His People and He is our God! Just as a marriage vow charges both persons to keep their promises to each other, we must keep our part of the covenant agreement that we made with our Father at Mt. Sinai. Have you ever noticed that Disciples and Discipline are nearly the same word? He is asking us to walk as He walked, and teach others to walk the same. In that way we discipline ourselves to be conformed to His Law, and we make other disciples when they join in the narrow path that leads to life! I have read all what you have written on the ten commandments and most of what is in writers corner, and what amazing teaching this is. Thank you so much for your insight, it has been very enlightening. It is amazing what Yah is doing to bring people back to their roots in Him. My He bless you Julia.